At a conference in New Zealand, Ryland Engelhart learned about the power of soil restoration. Soil can be used as carbon storage to keep it from being released back into the atmosphere, but it can also increase access to clean water and healthy food while restoring habitats and aiding in drought resistance. In short, it is a powerful solution to climate change. Ryan teamed up with childhood friend, Finian Makepeace, and formed Kiss the Ground, a community of filmmakers, gardeners, musicians, restaurant owners, and activists built around telling this story. Through videos, presentations, and even a full-length documentary, they use media to engage the public and raise awareness. And with their speaker training course and educational curriculum, they provide advocates with the tools and knowledge to further the movement. Kiss the Ground knows this sort of movement is first planted in local communities. In their own urban garden in Venice, CA, they host classes, work days, and job-training for homeless youth. 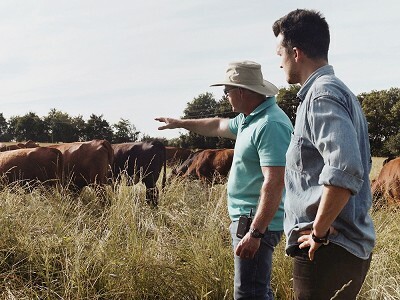 Partnering with brands and restaurants, they provide funds for training and technical support for farmers transitioning to regenerative soil practices. The impact of these practices are tangible and immediate. Together, we have nowhere to look but down. Through videos, presentations, and even a full-length documentary, they use media to engage the public and raise awareness. And with their speaker training course and educational curriculum, they provide advocates with the tools and knowledge to further the movement. Kiss the Ground knows this sort of movement is first planted in local communities. 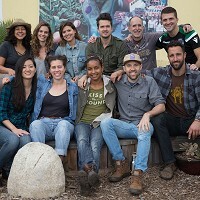 In their own urban garden in Venice, CA, they host classes, work days, and job-training for homeless youth. 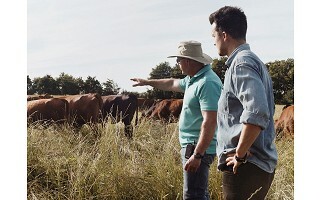 Partnering with brands and restaurants, they provide funds for training and technical support for farmers transitioning to regenerative soil practices.